When you’re looking for baby-smooth, summer-worthy skin, an epilator may be one of your best options. They remove hair from the root, leaving behind stubble-free skin and keeping hair away for longer than shaving. The best epilator for your face or underarms, though, may not be the best epilator for legs and arms. Your legs and arms have tougher skin than other body parts, so you’ll need the right epilator with strong tweezers to do the job. We’ve created this guide to help you narrow your options down based on our top five selections for best epilator for arms and legs. 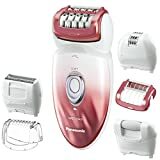 Below are our top five choices for the best epilator for legs or arms based on their beneficial features for optimal hair removal in these areas. The Panasonic ES-ED90-P Wet/Dry Epilator and Shaver can follow you in the shower so that you can remove hair from your arms or legs while the steam opens your pores for maximum comfort. 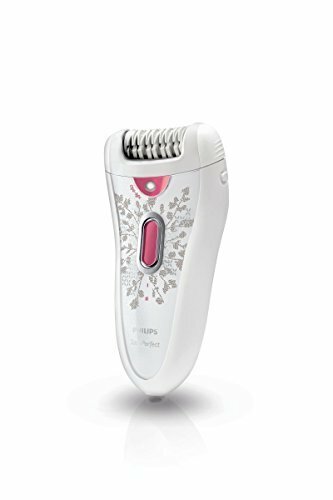 Philips HP6574/50 Satin Perfect Cordless Epilator has up to 40 minutes of use and is designed to help lift hairs as it epilates for efficient removal. 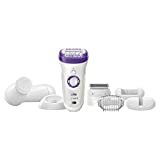 The Braun Silk-épil 9 9-579 Women’s Epilator is one of the company’s most popular models, thanks to its handy accessories, like a shaving head and massage cap, that turn the epilator into an all-around handy skincare tool. The Emjoi AP-18 Emagine is packed with 72 tweezers in its wide epilating head that can potentially remove even the smallest hairs from the legs and arms faster than other epilators. 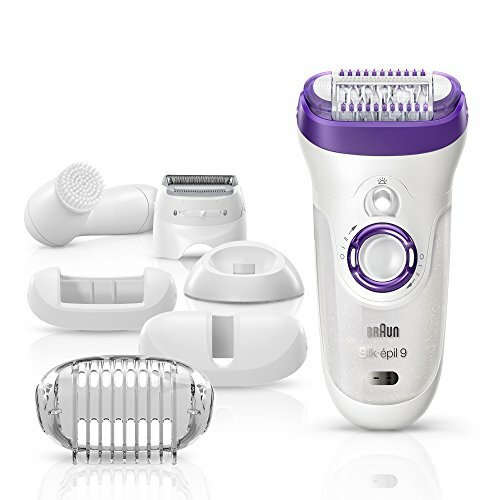 If you don’t mind having a corded epilator, the Emjoi eRase e60 may be one of your best options for quick hair removal with its 60-tweezer head and a head design that can help soothe the skin after epilating. The following five epilators are our choices for best epilator for legs and arms because of their number of tweezers, performance, and functionality. The Panasonic ES-ED90-P Wet/Dry Epilator and Shaver can be fully immersed in water, so you won’t have to worry if you prefer to take it in the shower. You can even suds up with your favorite body wash and epilate your arms and legs with the help of the foam to soothe your skin. The pivoting head of this epilator is one of a kind, rotating 30-degrees forward and backward to help it glide over the contours of your legs and arms. With 48 tweezers in the regular head, the epilator shouldn’t have much of a problem grabbing small hairs along the way. Although some customer reviews say that this epilator is painful, those same customers mostly agree that the epilator’s performance outweighs the discomfort. This Philips cordless epilator has a sleek, compact design that makes it easy to hold in one hand as you epilate. That’s good news for you if you want to use it in the shower where slippery soap and water can make your epilator slide right out of your hand. Thanks to the curved head design, the head cradles the shape of most legs and arms perfectly. 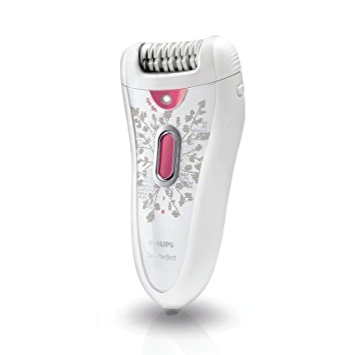 Combined with the vibrating motion of the tweezer discs, this epilator may be more adept at removing small hairs than some other models. Customers like the feeling that this epilator leaves on their skin after use, which is generally described as soft and silky. 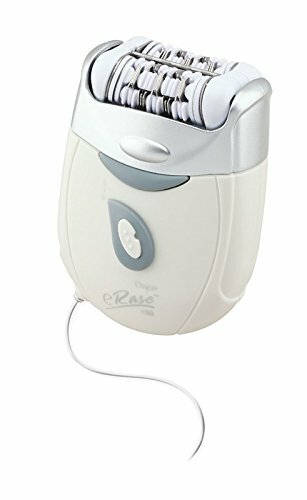 Braun Silk-épil 9 9-579 is one of the most popular models of epilators for a variety of purposes because its extra accessories can meet the needs of almost any women and her hair removal. With this model, you’ll get a massaging cap, shaver cap, and a skin contact cap, all of which can help you efficiently remove hair from your arms and legs. Use the shaver and skin contact cap to get the smallest hairs, while the massaging cap can stimulate skin before epilation and soothe the skin after. Although some customers believe that this epilator may cause more pain with the first few uses than other epilators they’ve tried, many agree that the pain subsides significantly the more you use it and that its efficiency is worth the discomfort. 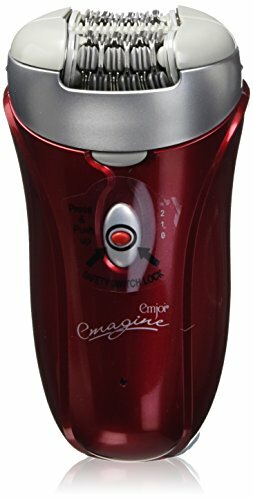 The Emjoi AP-18 Emagine has a lot going for it in the legs and arms department, but it won’t be your best option if your heart is set on an epilator you can bring in the shower. Although this corded device is for dry skin only, you might find that you can epilate your skin quicker than you could with a different model. With 72 tweezers, this epilator is packed full of hair grabbers to get your epilation done as quickly as possible. However, sensitive skin users may want to steer clear of this one because its powerful tweezers may be too uncomfortable for the skin. Several customers believe that this compact epilator is super comfortable to hold and delivers a lot of performance in one little device. One customer noted that her arthritic hands can even hold the epilator comfortably without it slipping. The Emjoi eRase e60 offers a good balance between the Emjoi AP-18 Emagine with 72 tweezers and models with 40 tweezers or less. 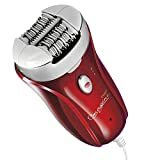 This one has 60 little hair removers which may be able to get more hairs at one time than other models, but with less irritation on sensitive skin as the other Emjoi. The 3-disc system in this device uses one disc to rotate the tweezers while the other two work to pull the skin tight for less chance of snagging and discomfort. 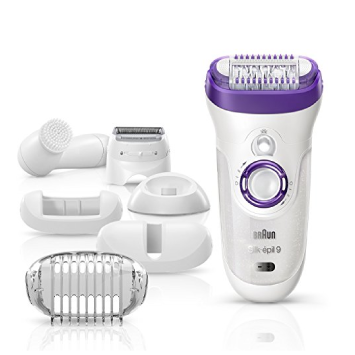 The epilator also comes with a shaver attachment, meaning that you get two devices in one. The epilator itself may not grab your tiniest hairs, so you can use the shaver attachment after epilating to leave behind smooth, hair-free skin. 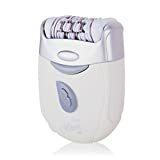 Women who’ve used this epilator praise it for its small size that’s easy to hold and its ability to reduce the discomfort they typically feel when epilating legs and arms. There are a lot of epilators on the market, so finding the best epilator for arms or legs can be challenging. You’ll have virtually infinite models to choose from, and it can be tough to know what features you need versus those you’ll pay extra for but aren’t necessary. 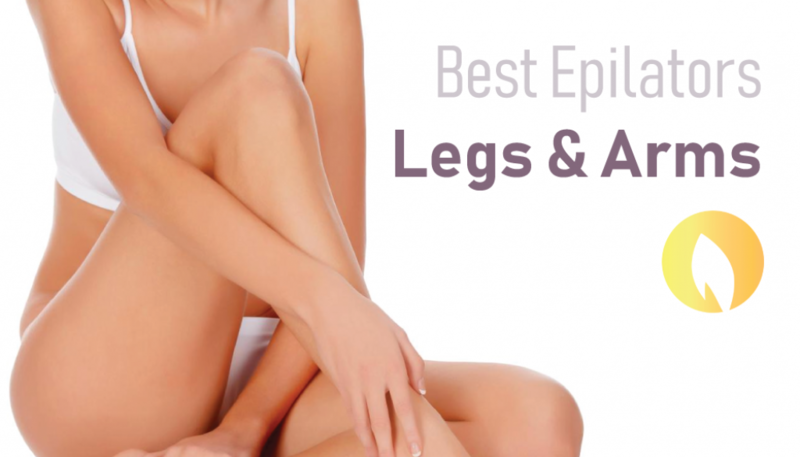 This helpful guide will steer you toward the best epilator for legs or arms by pinpointing some of the most important features to look for in an epilator for quick and easy hair removal. As a rule, you’ll want to look for an epilator that has at least 40 tweezers, although even more optimal are epilators with 50 or more. The more tweezers an epilator has, the more hair it can grab at one time, meaning you’ll need to pass over the area less to remove hair fast. 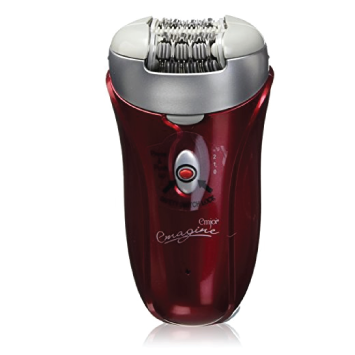 The head size is usually a good indicator of whether an epilator is right for the job. Your legs and arms have a lot of surface area, and a broad epilator head can cover more skin at a time than a narrow head. Wide epilator heads also tend to hold more tweezers. You’ll notice that many epilators with 40 or more tweezers have broad heads that are helpful for leg and arm epilation. Epilating in the shower can open your skin’s pores, which can make it easier for your epilator to grab onto hairs for removal. It’s a good idea to choose a cordless epilator that is marked as safe for wet and dry use so that you can take advantage of the ability to use it in the shower for maximum comfort. Some epilators come with two or more speed settings that can increase your control over the device and match it to the needs of your hair. The lower setting typically works well for people with very fine hair or sensitive skin. However, if you have tough skin or coarse hair, you may need to use the high-speed setting for your epilator to work its best. 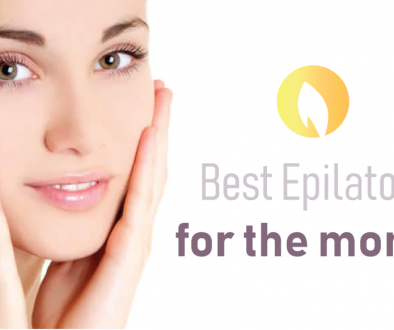 Most epilators claim that they can remove hair for up to four to six weeks. Although some people might not see hair come back for this long, it’s likelier that you’ll be hair-free for closer to one or two weeks. One of the benefits of epilating is that it can provide hair removal for a longer period than shaving. Some epilators remove hair from deeper into the root than others, boosting the time you’ll have hair-free arms and legs. It’s to your benefit to read epilator reviews before purchasing one that claims to provide weeks of hair-free skin to see if it lives up to its claims. The Panasonic ES-ED90-P Wet/Dry Epilator and Shaver is our favorite choice for a leg and arm epilator. Although this device is at a higher price point than epilators with similar performance, you’ll get extra functionality with the included accessories. This corded epilator is one you can use in the shower for comfort. The pivoting head is a stand-out feature that sets it apart from its competition, rotating both forward and backward to hug your curves and leave virtually no area of arm or leg skin with hair. Our reviews for the best epilator for legs and arms highlights five of the best products on the market that can leave you with hair-free skin in the shortest amount of time possible. We hope you found these reviews helpful for narrowing your choices and starting your journey to smooth arms and legs.